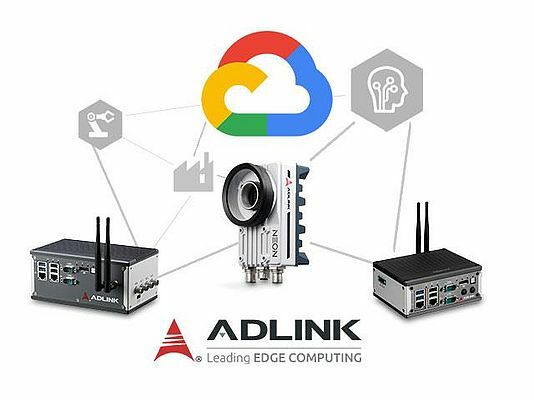 The Adlink Edge is an IoT smart gateway solution from Adlink that helps identify the operational data required to achieve real business results before full-scale commitment. It connects previously unconnected equipment and sensors at the Edge and streams data securely in real time to Google Cloud, allowing analysis and easy visualization to optimize decisions and operations. Benefits from this data streamer occur as accessing valuable data instantly, continuously and securely to monitor operations, and viewing and understanding which data have to be used to make decisions. By using Google Cloud tools such as advanced analytics, AI and machine learning, it is possible to improve existing customer databases and ERP systems. This allows to minimize downtime, improve quality and do predictive maintenance.